The name of it is translated as "Weightless". 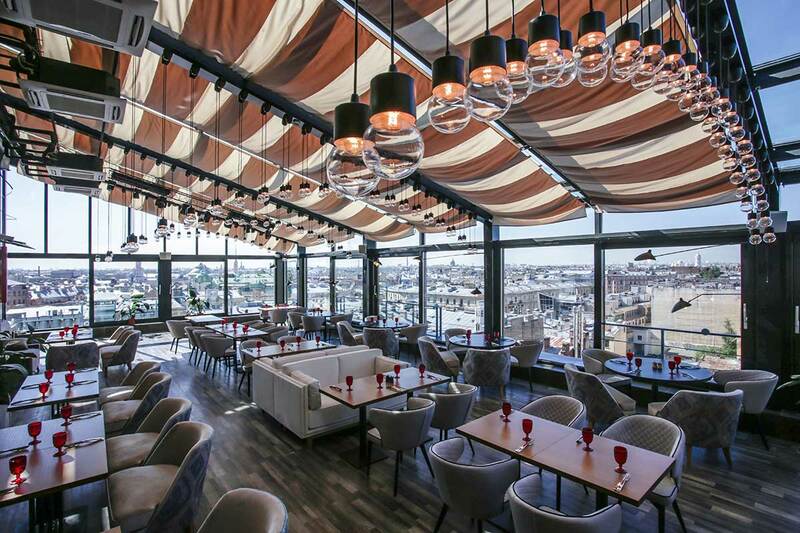 A light and airy rooftop restaurant with panoramic views located on the 9 th floor where you feel like floating above the city. The restaurant protected from rain and sun. Here you can order grill menu and summer cocktails. This café is located on the 2 nd floor representing a “landmark” of the hotel restaurant facilities. “Biscotto” harmoniously combines best of European and Russian cuisine. Here you will be greeted with a smile and take your possibility of tasting seasonal dishes and homemade desserts made in our own confectionary. Further, you can order pastries and pizza take away. 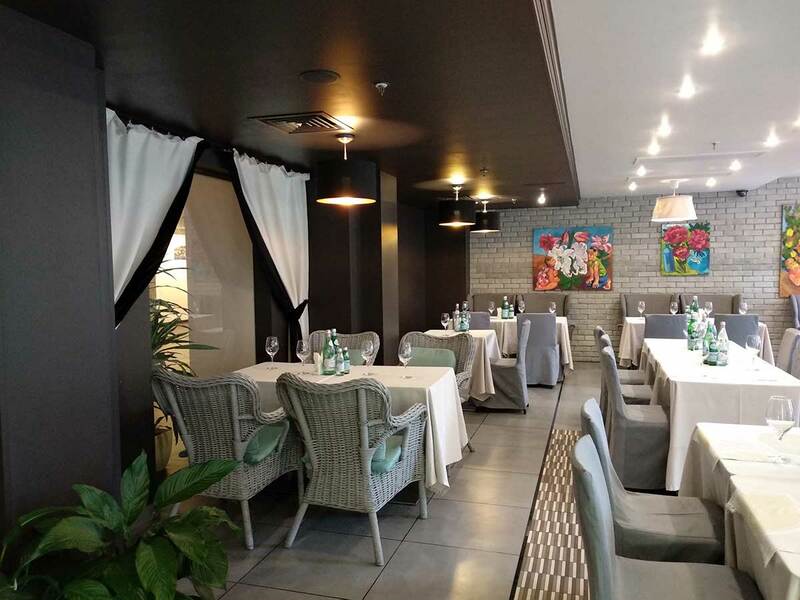 Bright, stylish and elegant restaurant on the first floor is designed in the French style. Breakfast is served here daily for hotel guests. Its furnishings from the first moments and creates a festive mood sets the right tone for any event. 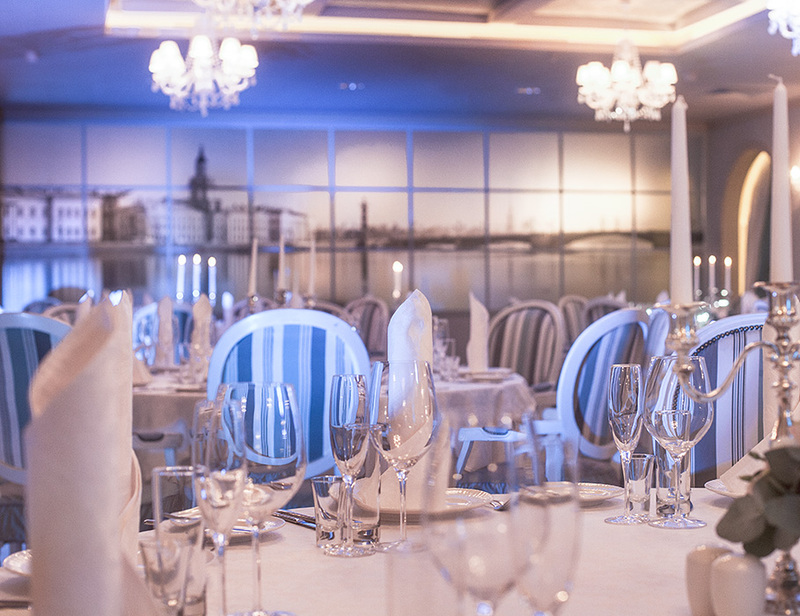 The restaurant is perfect for corporate banquet and wedding celebration. Banquette hall has its own history. 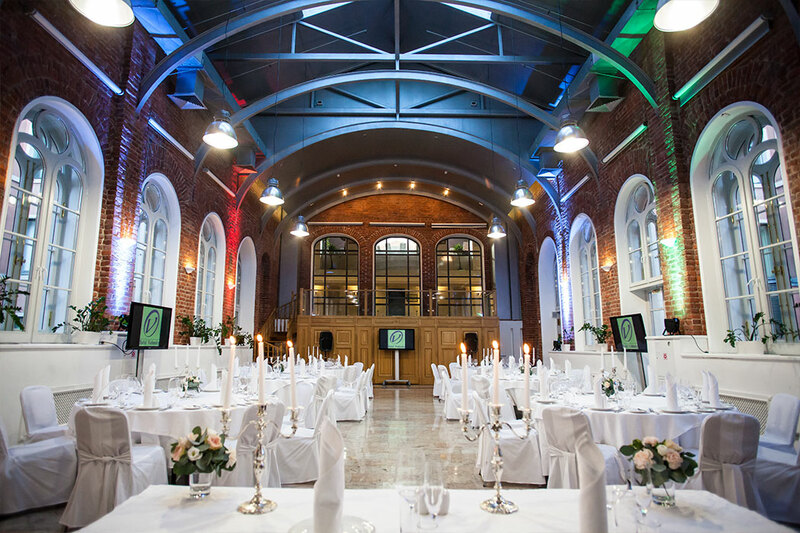 Witness of those times is preserved brickwork, which gives the room an original look. Addition to the unusual interior are large arched windows and a transparent dome roof. The lobby bar welcomes every guest. Here is an inviting aroma of coffee, chocolate and fresh pastries. 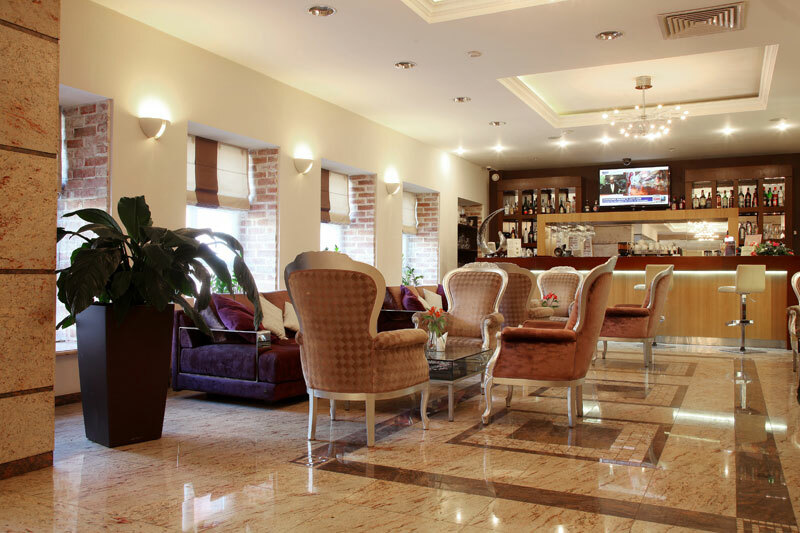 It is a good venue for hosting events of small businesses comprising up to 40 people. Also in the lobby bar there is the possibility of organizing a welcome cocktail reception before the business event. Wedding closures, Corporate parties & Business meetings.